Welcome to the homepage for the East Midlands Branch. From here you can find out what the branch is doing this year, information on forthcoming events and contacts within Derbyshire, Leicestershire, Lincolnshire, Northamptonshire and Nottinghamshire. Increase number of East Midlands members. Building Partnerships – through continued representation by branch members on advisory committees, panels and forums. Maintaining an Active Branch – through regular Branch meetings, links though County groups and County Reps and CPD events and electronic networking. Organise a successful and profitable IHBC Annual School 2019 through the Conference Subcommittee. Send 2/3/4 people to the 2019 IHBC Conference Day School. 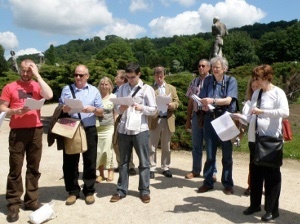 Since 2010, the Branch has utilised funds generated by the Annual School when it was held in our region at Buxton in 2009 to help East Midlands Branch members attend the Annual school by way of a regional bursary. As the Annual School is in Nottingham this year between Thursday 4 July and Saturday 6 July, the Branch is able to provide three Bursary Awards to cover the costs of three Day School places on Friday 5 July. The Day School places will include the Annual Dinner on Friday evening but successful candidates will be expected to pay their own travel expenses and any accommodation costs. If this is something you would be interested in, please take a look at the Branch’s Eligibility Criteria and if you want to apply submit your application to the Branch’s Chair, Liz Mayle, by email to lizmayle@googlemail.com by Friday 26th April 2019. To support the Branch’s members and build partnerships with like-minded organisations, particularly where these are based in the East Midlands. Following approval by the Branch Committee, the draft Social Media Plan was sent to the National Office for formal approval and this was received in December 2018. 2016 Annual School, Worcester – People Power: The Catalyst for Change! “Receiving the 2013 bursary was a great surprise. Without it I would have been unable to attend even the day school. The opportunity to take part in the Carlisle 2013 (my first full school) was a fantastic introduction to how valuable the tours and visits are on the extra days. These helped to put the day school theme of Skills into context, and to see real case study projects on the ground. It also provided opportunities to find out what interesting and inspiring projects others are involved in. It was a privilege to attend, I am most grateful to the EM branch for offering the bursary, and hope that the photojournal-film I produced as a momento will urge you to consider applying for the next – do not miss out! 2012 Annual School, Winchester – Significance: Who Decides? Following the Annual School, Lisa has reported back the experience of attending the School to her County colleagues and has prepared the following presentation to share her CPD with other members. "I have been an affiliate member of the IHBC for three years and am working towards full membership. I always find the Annual Schools that the Institute runs really useful; previously, I've only been able to afford the day schools, as I have to self-fund the trip. Last year, I applied for the East Midlands bursary as I didn't think I could afford to go, and was delighted to gain the bursary! The full trip is really worth the experience, as you get to go on useful site visits to see how innovative and fascinating projects are put into practice (among other sites, I visited Conwy castle and town walls and a school that had been converted by a local trust for community use) as well as a themed day of interesting lectures, with plenty of time for discussion and networking. The Annual Dinner is also a great experience. I would really encourage you to apply for the bursary, even if you don't think you'll be successful- you may be pleasantly surprised!" Following the Annual School, Catherine fed back her experiences to the EM Branch Committee and also gave a presentation to the Branch on her work at Leicestershire County Council. This gave Catherine the opportunity to meet the Branch Committee and to contribute to the discussions on Branch publicity and hear about current conservation issues in the other counties. Following the Annual School, both Lynda and Liz have reported back their experiences of attending the Day School within the September 2010 edition of Context. Dr Charles Mynors is a lawyer with specialist expertise in planning and ecclesiastical law. He is also a Fellow of the RTPI and the RICS, and a member of the IHBC. After almost ten years as a planning officer in local government, he practised for over 25 years as a barrister from chambers in the Temple. He now heads up a team in the Law Commission, simplifying planning law in Wales; the Commission’s consultation paper, published in November 2017, has been described as “surprisingly readable”. He has written a number of books on his specialist areas, three of which (those on listed buildings, trees, and advertisements) have gone into subsequent editions; each has become the standard textbook in its field. He is an adviser to the Prince’s Regeneration Trust. He lectures widely, and is a Visiting Professor at Oxford Brookes University and regular lecturer at Bath University. Charles’s latest book – “Listed Buildings and Other Heritage Assets” (published by Swet & Maxwell in September 2017), 5th edn written jointly with Nigel Hewitson – is a comprehensive guide to the increasingly complex law in this area. It is an indispensable guide for practitioners, lawyers and judges and many others; it covers all the new legislation, the NPPF, and over 100 new cases, and applies in England, Wales, Scotland and Northern Ireland. As a Branch, we try to organise two low-cost CPD events a year so that we can support our members to access local and relatively cheap training - important in these days of austerity - and also to meet their CPD requirements. One event is held in September as part of the overall AGM package and the other event is usually held earlier in the following year to tie in with our regular Committee meeting. Following the Branch 2013 AGM, the Branch members were addressed by three speakers about the development of the Heritage Skills Centre. Mary Powell of Lincoln Castle Revealed described how, having carried out several smaller projects in the Uphill Area, the Historic Lincoln Project focussed on the issues surrounding the Castle. The Castle had been identified as an underperforming attraction that was not generally accessible and in a poor state of repair. It was also recognised that the Cathedral had a highly skilled workforce but these were not generally seen by the public, they therefore wanted the public to see the Cathedral’s craftsman either at work or in training. So with funding from the Heritage Lottery Fund and European funds the project was able to undertake a combination of repair and new build projects at the Castle. The site for the Heritage Skills Centre was easily identified, having been previously been used for car parking and general storage. This was also combined with the refurbishment of the Victorian Prison and the creation of a new display area for the Magna Carta, along with repairs to the curtain wall. Although the continuation of the High Court within the Castle grounds created several logistical problems, particularly in terms of noise and disturbance and general access issues. Rob Green of the architects Arrol and Snell, appointed to undertake the works, described in more detail the nature of the works and the objectives to create a complete circuit of the walls, using newly constructed links and bridges, along with the provision of disabled access. The works within the Victorian prison were intended to provide an accessible tourist attraction with education facilities and a restaurant together with the development of suitable accommodation in which to display the Magna Carta, making use of a subterranean cellar under the prison. Rob also described the philosophy and approach to the repair of the curtain walls, very much informed by the detailed analysis carried out by the archaeologists that revealed substantial additions and repairs to the original Medieval walls. Finally Dr Jonathan Clark of the archaeologists FAS Heritage gave an entertaining presentation describing the extent of the archaeological works within the Castle grounds and the survey work to ‘reconstruct’ the Lucy Tower. 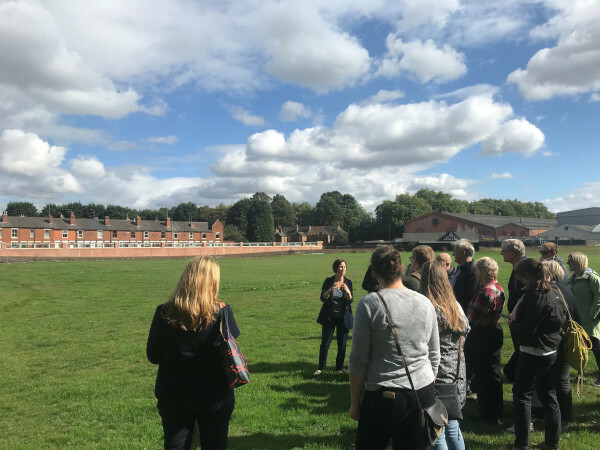 Jonathan also described the uncovering of an interesting sanitation system beneath the site of the Heritage Skills Centre with its 19th Century toilet remains. The archaeologists also uncovered evidence of a substantial pre-Conquest building under the North lawn, an area that had been thought to be undeveloped and the excavations for the Magna Carta Building revealed layers of buildings showing various periods of occupations beginning with the relatively recent Victorian and Georgian periods, going back through the through the Medieval period with evidence of a Norman hall and an Anglo-Saxon church and ending with a Roman town house. The archaeologists were also able to uncover various graves cut into the floor of the Anglo-Saxon church including an undisturbed sarcophagus. After these introductory talks there was the opportunity to climb the steep stairs to the Lucy Tower and to walk along sections of the newly created wall walk, viewing the owl boxes cut into the curtain wall and viewing areas of stone repairs. For more information about past events click on the ‘AGM and general archive tab’ above. The Branch Committee comprises a number of key posts, such as Chair, Treasurer and Secretary, the East Midlands Branch representative to the national Council and representatives of each of the five counties. Together, the Committee seeks to implement the Branch’s Business Plan and provide a lead for building conservation practitioners and historic environment specialists working in the region. The Lincolnshire Conservation Officers Group (LCOG) generally meets on a quarterly basis and is attended by Conservation Officers from authorities across Lincolnshire. 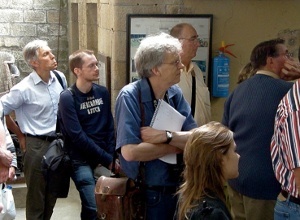 English Heritage, Heritage Lincs and a representative from the Lincoln Diocesan Advisory Committee (DAC) also attend. 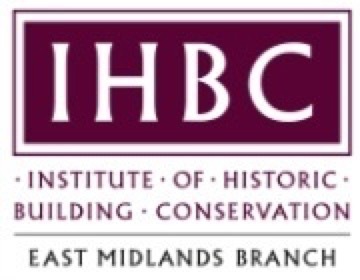 The representative for Lincolnshire on the IHBC East Midlands Branch Committee is Kelly Appleton, kelly.appleton@heritagelincolnshire.org. The December LCOG meeting was hosted by North Lincolnshire (Eddie Rychlak) and the venue was The Old Tile Yard at Far Ings in Barton upon Humber. The yard has been making tiles since 1840 and still uses the original kilns and dryings sheds. The kiln, Mill House and drying sheds were listed when the Harrison family bought the buildings in 2004. They renovated the buildings and built a new visitors centre; funding the project themselves and using traditional materials. The meeting was held at the visitors centre and we were well supplied with mince pies and a roaring log fire! 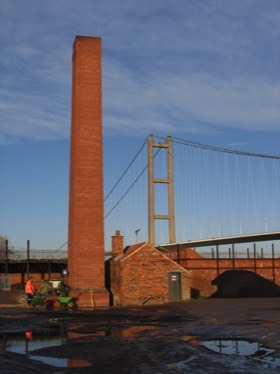 As part of the agenda there was a brief talk on the development of tile and brick yards along the Humber estuary and their decline. The talk was given by John French MBE who is a member of the Barton Civic Society. 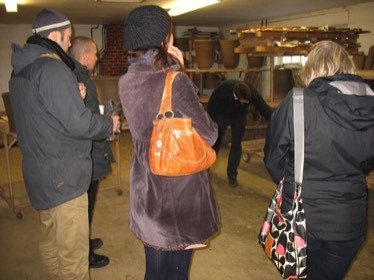 After lunch the group where given a tour and John French was joined by Harry Harrison who spoke about the renovation of the Tile Yard. There was then a short drive to another tile works at Hoe Hill which is still active and where the tile making process could be viewed in more detail. The Conservation Officers in Derbyshire (CODs) met on the 4th November, at Elvaston Castle (South Derbyshire), to discuss whether to carry on with the forum due to poor attendance and increasing work pressures. There was overwhelming support for the forum to continue. However, it was decided to reduce the frequency of the meetings to two meetings per year and these will follow a format. The first meeting, to be held in the first half of the year, will be themed. The second meeting, to take place in autumn, will be a site visit to look at good practice projects across Derbyshire. The site visit meeting will be open to all Derbyshire IHBC members. The 4th November meeting was followed by a tour of Elvaston Castle, including the roof repairs recently carried out by Derbyshire County Council. Nottinghamshire Conservation Officers Forum meets twice yearly. The last meeting took place on July 16th 2015. It was hosted by Nottinghamshire County Council at their offices in West Bridgford and was well attended. The meeting was followed by a tour of West Bridgford Hall lead by James Bate of Rushcliffe Borough Council (grade II). The Hall is owned by the borough council and was last used by the county council as offices, including a registration service with a very popular venue for wedding services. Following an examination of possible new uses, including ‘soft’ market testing, the borough applied for and has been granted a Heritage Enterprise grant by the Heritage Lottery Fund for scheme of conversion to an apart/hotel and upgraded wedding facilities. The next meeting of the NCOF will take place in early 2016. The Conservation Officer’s Forum generally meets on a 6 month basis and is attended by Conservation Officers from Leicestershire County Council, Leicester City Council and the other District and Borough Councils. The representative for Leicestershire on the IHBC East Midlands Branch Committee is currently Liz.Blood@leics.gov.uk. The meetings are usually followed by lunch and an opportunity to visit a building or site of relevance in whichever district is hosting the meeting. The next meeting is hoped to take place in July 2014. Heritage Crime Prevention: Leicestershire Working Group based on English Heritage’s initiative on recording and dealing with historic crime. Leicester Heritage Partnership: This group was set up in June 2011 and is chaired by the City Mayor, with the purpose of “engaging organisations and individuals from across the City and working with the Council to promote the preservation, use and interpretation of Leicester's historic built environment”. Leicestershire & Rutland War Memorials Project: Leicestershire County Council run community-based recording and research project, which includes a grants scheme. For more information, see www.leics.gov.uk/warmemorials. For more information on these, contact the lead organisation. Alternatively, you can email Liz.Blood@leics.gov.uk who will forward your enquiry. 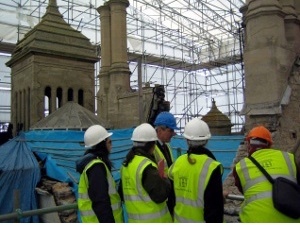 The Conservation and Heritage Education Pack, CONSERVING THE BUILT ENVIRONMENT - KEY STAGE 2 GEOGRAPHY, jointly sponsored by the Institute of Historic Building Conservation and Nottinghamshire County Council, (as referred to in the press release below) was launched on 14th June 2004 by David Lovie the President of the Institute.